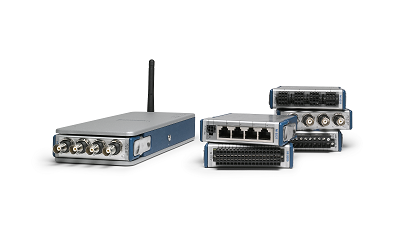 For scientists, engineers and all other people who benefit from data acquisition systems, choosing which data acquisition device to invest in is quite challenging. People who aren’t so familiar with the world of DAQs may be thinking that all data acquisition systems look and function the same but actually, they do not. Because of the convenience it offers, many professionals have turned to investing in portable data acquisition system devices. These portable electronic devices are mainly used to record data such as temperature, voltage, current, water levels, wind direction and speed. Overall, data acquisition systems cover a wide range of application in the industrial and scientific laboratories. Since data acquisition is a popular and important part of today’s world, in general, there are so many choices to choose from. Take a look at some of these devices from a reliable DAQ company called Daqifi; check them out if you want to know more about DAQifi.com. To optimize its function, however, there are several things to consider before purchasing or investing in a data acquisition system. Several questions regarding the needed features, its designated location and its purpose should be answered before anything else. Just like choosing amplifiers when setting up a home theater, the number of channels for DAQ devices also matter.The number of signals you need to accommodate should determine the number of channels you need. However, even if you might only need to measure one type of signal for a specific application, you might need to measure other types of signals in the future. If this is likely the case, it may be best to purchase a device that is multi-channeled instead of a single-channeled one. To be able to adapt easily for your future applications, the best option may be to purchase a multi-function DAQ device that offers a combination of analog inputs, outputs, counters, etc. What is the best sampling rate? The sampling rate refers to the speed by which a DAQ device can take samples of signals. This specification is one of the most important things to consider before buying the device. Typically, these are soft or hard-ware timed. This measurement speed highly depends on the signal’s maximum component of frequency. Unfortunately, a sampling rate that is close to perfect may mean reduced quality of other specifications such as accuracy or resolution. How much accuracy and resolution do I need? The device’s resolution is determined by the smallest change the device is able to detect. Typical application requirements are usually met by 12,16 and 18-bit resolution. As for those applications measuring large and small voltages, a 24-bit device may fit you better. When it comes to accuracy, you must first understand your accuracy requirements. Accuracy refers to how a device can faithfully indicate the true value of a signal. Not only is accuracy dependent on the device, it is also affected by signal (e.g. noisy signal = less accuracy). It may be best to choose a device that provides a circuitry to improve accuracy. Most applications require signal conditioning. Signal conditioning is at a greater advantage since it enhances both the performance and accuracy of a DAQ system. Is the software sold in bundle or separately? 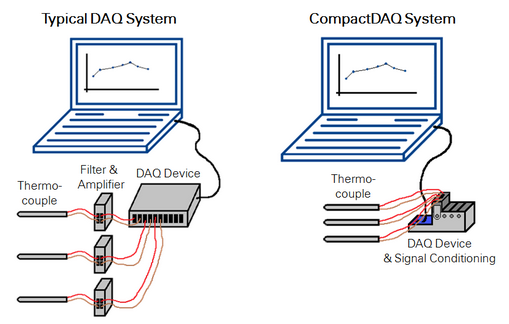 For some DAQ devices, its own DAQ software are sold in bundles together with the device itself. However, it may also be sold separately. It may be a good deal if both device and software are sold as one.